Your record of birth abroad, if registered with a U.S. consulate or embassy, is proof of your citizenship. You may also apply for a passport to have your citizenship recognized. If you need additional proof of your citizenship, you may file a Form N-600, "Application for Certificate of Citizenship". 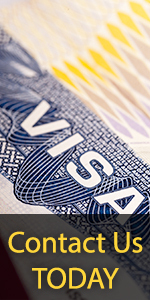 You may call the USCIS Forms Line at 1(800) 870-3676 to request a Form N-600. If you are not a U.S. citizen by birth or did not acquire U.S. citizenship automatically after birth, you may still be eligible to become a citizen through the normal naturalization process. People who are 18 years and older use the "Application for Naturalization" (Form N-400) to become naturalized. Persons who acquired citizenship from parent(s) while under 18 years of age use the "Application for a Certificate of Citizenship" (Form N-600) to document their naturalization . Adopted children who acquired citizenship from parent(s) use the "Application for a Certificate of Citizenship on Behalf of an Adopted Child" (Form N-643) to document their naturalization. You may call the Forms Line at 1(800) 870-3676 to request Form N-400, N-600, or N-643. For more details on the eligibility requirements for naturalization, please see the section of this website entitled Am I Eligible? and complete the Eligibility Worksheet or see Section 4 "Who is Eligible For Naturalization" in the Guide to Naturalization. You should use an "Application for Naturalization" (Form N-400). You may call the Forms Line at 1(800) 870-3676 to request a Form N-400. 7. If I have been convicted of a crime but my record has been expunged, do I need to indicate that on my application or tell an Immigration officer? You should send your completed "Application for Naturalization" (Form N-400) to the appropriate USCIS Service Center. For information about the Service Center that serves your area, please refer to the state map under Where Do I Apply? Remember to make a copy of your application. DO NOT send original documents with your application unless the checklist on page 34 states that an original is required. 9. Will USCIS provide special accommodations for me if I am disabled? Some people with disabilities need special consideration during the naturalization process. USCIS will make every effort to make reasonable accommodations in these cases. For example, if you use a wheelchair, we will make sure your fingerprint location is wheelchair accessible. If you are hearing impaired and wish to bring a sign language interpreter to your interview, you may do so. Asking for an accommodation will not affect your eligibility for naturalization. USCIS makes decisions about making accommodations on a case-by-case basis. 10. Where is my local Immigration office? See the "List of Field Offices." 11. What is the fee for processing an application? The current fee for processing a naturalization application, as well as the fees for other applications, can be found on the forms and fee page. 12. How can I pay my application fee? You must pay your application fee with a check or money order drawn on a U.S. bank in U.S. dollars payable to "USCIS." Residents of Guam should make the fee payable to "Treasurer, Guam." Residents of the Virgin Islands should make the fee payable to "Commissioner of Finance of the Virgin Islands." You must send your fee with your application. Remember that your application fee is not refundable even if you withdraw your application or USCIS denies your case. 13. How long will it take to become naturalized? The time it takes to be naturalized varies from one local office to another. In 1997, in many places, it took over 2 years to process an application. USCIS continues to improve the naturalization process. As of October 2001, USCIS reported that it takes, on average, between 6 and 9 months to become naturalized. 14. Where can I be fingerprinted? After USCIS has received your application, we will notify you of the location where you should get fingerprinted. For more information about fingerprinting, visit the site on Fingerprints or see page 36 of the Guide to Naturalization. 15. How do I determine the status of my naturalization application? For information, please see "Finding the Status of Your Case" at www.uscis.gov. 16. What if I cannot make it to my scheduled interview? It is very important not to miss your interview. If you have to miss your interview, you should notify the office where your interview is scheduled by mail as soon as possible. In your letter, you should ask to have your interview rescheduled. Rescheduling an interview may add several months to the naturalization process, so try not to change your original interview date. If an emergency arises and you absolutely cannot make your appointment, call the National Customer Service Center at 1-800-375-5283 to request rescheduling. The NCSC will record the information, and pass it on to the local office, which will make the final decision whether to reschedule your appointment. If you miss your scheduled interview without notifying USCIS, we will "administratively close" your case. Unless you contact USCIS to schedule a new interview within 1 year after USCIS closes your case, we will deny your application. USCIS will NOT notify you if we close your case because you missed your interview. 17. What do I do if my address has changed? If you have a pending application or petition at a Service Center, go online at www.uscis. gov or call the NCSC toll-free number at 1-800-375-5283 when you move to report your address change. Please note that every alien must report a change of address whenever he or she moves. Special Registration address change requirements also apply to some aliens. Note you are required to file a Form AR11, Change of Address Form. 18. If USCIS grants me naturalization, when will I become a citizen? 19. What should I do if I cannot go to my oath ceremony? 20. What can I do if USCIS denies my application? 21. Can I reapply for naturalization if USCIS denies my application? 22. What do I do if I have lost my Certificate of Naturalization? What do I use as proof of citizenship if I do not have my certificate? You may get a new Certificate of Naturalization by submitting an "Application for Replacement Naturalization/Citizenship Document" (Form N-565) to USCIS. You may call the Forms Line 1 800-870-3676 to request Form N-565. Submit this form with the fee to your local USCIS office. It may take up to one year for you to receive a new certificate. If you have one, you may use your passport as evidence of citizenship while you wait for a replacement certificate. To obtain a U.S. passport, please visit the Department of State's website. 23. Do I need to obtain a new Permanent Resident Card (formerly known as an Alien Registration Card) when USCIS issues a new version of the card? 24. If I am a U.S. citizen, is my child a U. S. citizen? *NOTE – Children who immigrate in the “IR-3” or “IR-4” categories must have had an immigrant petition filed on their behalf before their 16th birthday; see answers to Question 25 below. All adoptions for any other type of immigration benefit, including naturalization, must be completed by the child's 16th birthday, with one exception: A child adopted while under the age of 18 years by the same parents who adopted a natural sibling who met the usual requirements. **NOTE – The “one U.S. citizen parent” rule only applies to children who were under age 18 on or after February 27, 2001. For children claiming automatic citizenship prior to this date, the individual in certain cases would have to establish that the parent or parents who were not U.S. citizens by birth had naturalized (or that the naturalizing parent was separated or legally divorced and had legal custody of the child). 25. If I am a U.S. citizen, but my child does not meet the requirements listed above, can I still apply for citizenship for my child? If the foregoing conditions are met, the citizen parent can apply for a certificate of citizenship on behalf of a legitimate or legitimated child using an "Application for Certificate of Citizenship" (Form N-600) or, in the case of an adopted child, an “Application for Certificate of Citizenship on Behalf of An Adopted Child” (Form N-643). If the citizen parent is relying on the grandparent's physical presence in the United States, the citizen parent should also submit Form N-643, Supplement A. Both the citizen parent and the child must appear at an interview with an Immigration officer in the United States. The child must meet ALL of the required conditions at the time when he or she takes the Oath of Allegiance (Note: the Oath may be waived if the child is too young to understand it). 26. If the U.S. citizen who transmitted citizenship to a child through one of the scenarios described in # 24 above or who could have applied for naturalization and the issuance of a Certificate of Citizenship through the procedure described in # 25 above has died, can the child still obtain a Certificate of Citizenship? A person who became a U.S. citizen through one of the scenarios described in # 24 above can be issued a Certificate of Citizenship at any time in his or her life as long as he or she has not gone through the difficult procedure of renouncing U.S. citizenship. If the person has not yet reached their 18th birthday, a legal guardian can file the application. If the person has reached their 18th birthday, either the person or a legal guardian can file the application. at the time of the citizen parent's death had lived in the United States for 5 years, at least 2 of which were after the citizen grandparent's 14th birthday. Once all of the requirements have been met, any U.S. citizen grandparent or duly appointed U.S. citizen legal guardian can file an application on behalf of an eligible child. The child must be residing outside the United States in order to be eligible for this benefit, but the applicant can reside in or outside the USA. Although the cutoff date for applications pursuant to 322 filed by a citizen grandparent or by a citizen legal guardian is five years after the death of the citizen parent, the joint interview of the applicant and the child beneficiary can be conducted at any Immigration Office in the United States that conducts these interviews at any time while the child is still under the age of eighteen years. 27. How do I register with selective services? Federal law requires that men who are at least 18 years old, but not yet 26 years old, must be registered with Selective Service. This includes all male non-citizens within these age limits who permanently reside in the United States. Men with "green cards" (lawful permanent residents) must register. Men living in the United States without Immigration documentation (undocumented aliens) must also register. But men cannot register after reaching age 26. 28. Why Do I Need to Register with the Selective Service? For instructions on registering with Selective Service as an immigrant, please see the Selective Service System's "Registration Information." If you would like to confirm that you or someone else are registered with Selective Service, please see the Selective Service System's "Check a Registration" Webpage. If you would like answers to frequently asked questions about Selective Service, please see Selective Service System's "Frequently Asked Questions" Webpage. 29. I lost my Naturalization Certificate and I need to travel outside the U.S., how can I obtain proof of my citizenship so that I can apply for a U.S. passport with the Department of State?